Palamu Forts (Hindi: पलामु किला ), is a ruin(s) in the region of Daltonganj, India. Two large forts are located deep in the forests of Aurangabad on Sher Shah Suri path near Daltonganj. These forts were attributed to the Vanvasi kings of the Chero dynasty. It had defenses in three directions and three main gates. The fort was constructed by Raja Medini Ray. The architecture is very Islamic which bespeaks of Daud Khan’s conquest. 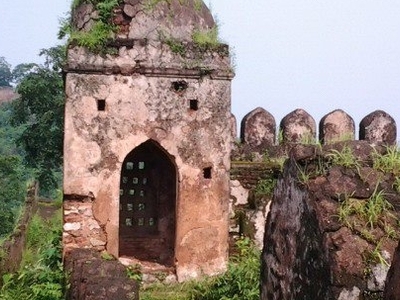 Here's the our members favorite photos of "Ruins in Daltonganj". Upload your photo of Palamu Fort!